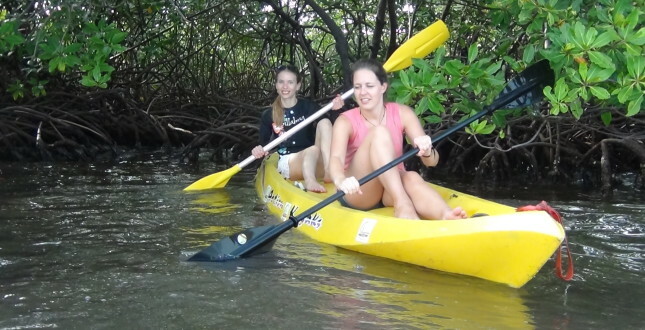 Kayaking in rivers and oceans is for anyone looking for an opportunity to enjoy the outdoors! In addition to being fun, easy and enjoyable, kayaking is also a great low-impact workout. You can combine it with going to the beach, fishing, camping, snorkeling or having a picnic next to the river or on the beach. 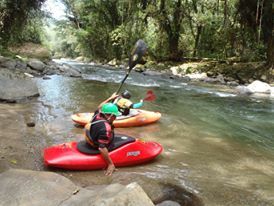 In Turrialba, if you already know how to kayak in rivers, you can go to the Pejivalle River (class II+) or get a ride and paddle down the Pacuare River (class III with a few class IV). 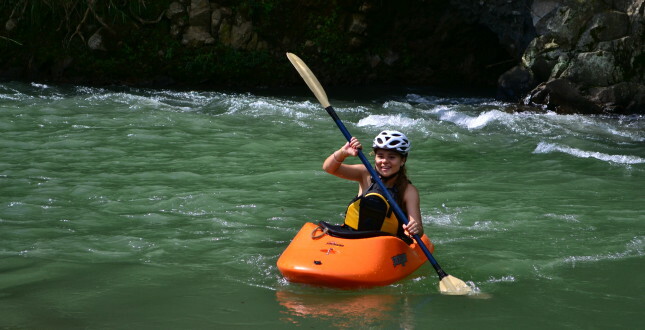 You may also sign up for a two day river kayaking class where you will watch a video, get an introduction to doing the eskimo roll, making ferries, reading whitewater and also paddle down the Pejivalle River for the first time! 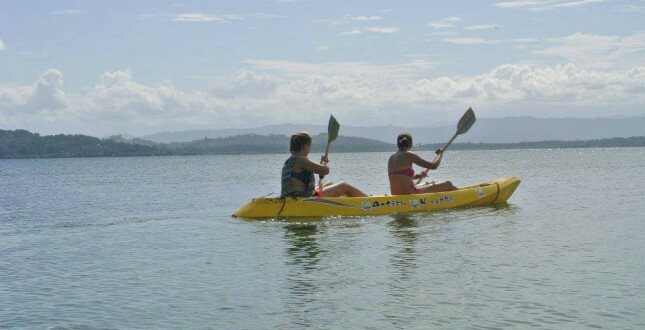 Bocas del Toro is perfect for sea kayaking. We have a few kayaks at the school that you can take out by yourself or with some other students. We'll give you some tips on where to go! The owner of an outdoor company in Boquete is a kayaker himself and will be your best source of information! 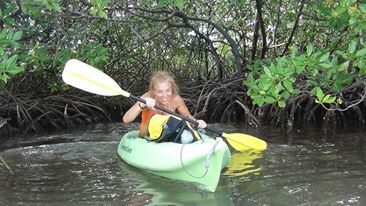 In Punta Uva we organize a magical kayaking journey paralleling a coast full of cliffs, caves, and the most amazing rain forest. You will also take a nice break at the beach to relax, swim and enjoy some fresh fruit and snacks before hiking back to Punta Uva.